Shelbys are the most iconic performance cars in the history of the American auto industry. This lavishly illustrated work conducts readers through Shelby American's forty-plus years. 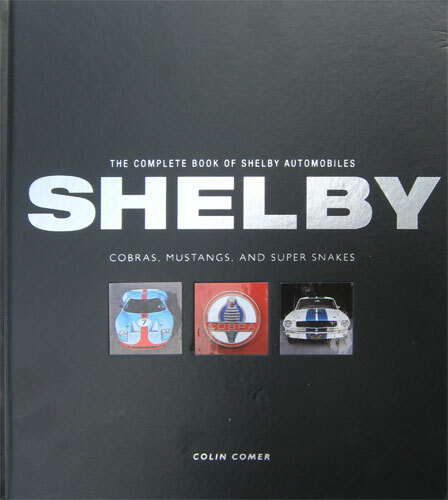 An exhaustive review of American high performance, from the first Cobra produced in 1962 through today's fire-breathing, world-beating Shelby GT500KR Mustang, The Complete Book of Shelby Automobiles offers an in-depth look at the ultra high-performance cars that have made Carroll Shelby a living automotive legend. With extensive details, specs, and photographic coverage, this book is the ultimate resource on America’s most exotic performance car. See our Virginia Classic Mustang Blog Post about this book along with lots of other vintage Mustang information, thoughts and great new Mustang parts! Be sure to subscribe! "When you see a book described on its cover as being “complete,” your eyebrow automatically goes up. This is especially true when that adjective is describing a book on Shelby cars. There are so many examples, permutations and exceptions swirling around in the Cobra/Shelby universe that it’s almost a slam-dunk to imagine that something was overlooked. This is clearly not the case with SAAC member Colin Comer’s latest book. He tells the story and he gets it just right; he doesn’t gloss over the important stuff and it’s not a puff piece or an homage to Carroll Shelby. The glossy pages of this book have a very high quality feel to them. The reproduction of the photos are second to none and the color values are perfect. You will not be disappointed with this book."